Fresh out of University, Christopher McCandless donates all of his $24,000 life savings to charity and leaves his home, friends, family, car, and possessions for a simpler life as he embarks on a journey across states, through America, and finishing up in Alaska. His aim? To live a real existence within nature, away from technology, away from distractions, and away from modern invention and popular culture. His Great Alaskan Journey takes him 20 months, and sees McCandless making new acquaintances, sparking new love interests, finding new discoveries, exploring new states, and gaining a new appreciation for the world. His travels allow him to understand himself, others, and the nature around him. He is influenced by those he meets, and the kindness he is given – the perfect healing process for his parents’ abusive relationship and his troubled childhood. However, when McCandless finally reaches his goal, he finds that he was not as prepared as he thought for life in Alaska. The harsh winter makes living conditions unbearable, and food is virtually nonexistent. So he prepares to leave for home, and plans to return when the winter begins to dissipate – until he is stopped on his journey by frozen lakes, and impassable routes. He is thus forced to stay. During the end scenes, we watch as McCandless struggles to sustain himself in these inhospitable environments. Eventually, his hunger takes over his sense, and he eats poisoned berries – with disastrous consequences. If you’re expecting a movie about a great adventurous discovery, with a valiant explorer and a happy ending – this movie is not for you. But if you want a movie that is truly emotional, real, inspirational and compelling, Into The Wild ticks all of those boxes. In a world where movies seem incredibly artificial, false and inauthentic, Into The Wild provides a breath of fresh air. Quite literally. We are told from the beginning of this movie that the journey of Christopher McCandless and his Alaskan adventure are based on a true story, and it is almost as if we are watching a live-action documentary of these travels right before our eyes – rather than a Sean Penn creation. Throughout this movie, Emile Hirsch is so real. The friendships are so real. The people are all so real. It was truly organic. The moral of the story is also very poignant. 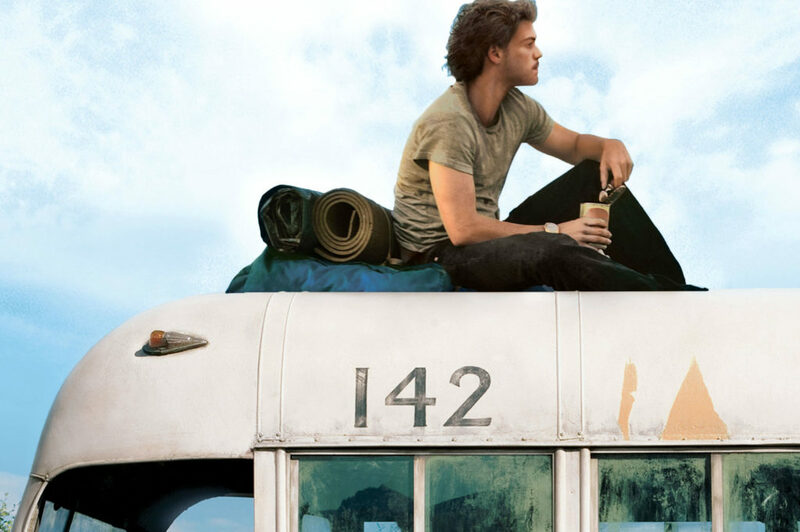 As a victim of wealth, excess, modern living and a lack of love, Christopher McCandless decides to break free of his chains and express his true self. He expands his mind, his knowledge, and his physical strength, and lives a life of simplicity – and despite the ending, he enjoyed nearly every second. He was at peace, he was living his life to the fullest, with nature, without the confines of work, money or relationships, and he was free. But he also taught us a powerful lesson – that no matter how hard you strive to be happy, however that may be, happiness is always best shared with those around you. The casting for Into the Wild also helped make it a 4 star movie. Using a relatively unknown actor disconnected this story from the confines of Hollywood, high-rolling budgets and the same faces over and over again. Emile did Christopher McCandless justice.